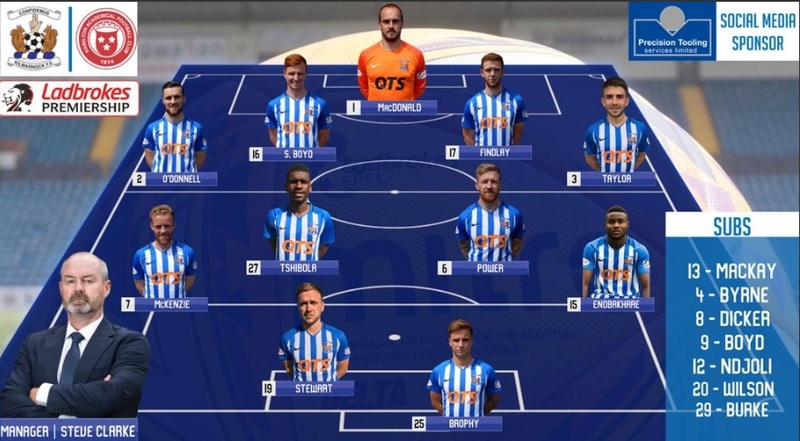 MacDonald, O’Donnell, S Boyd, Findlay, Taylor, Power, (Dicker 75), Tshibola , McKenzie, (Byrne 65, ), Enobakhare, Stewart, Brophy, (K Boyd 65). 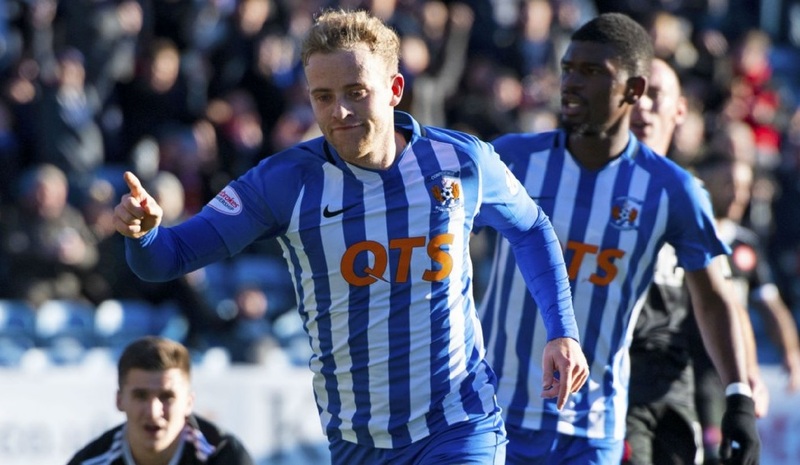 Kilmarnock passed up the chance to make it five wins in a row after they were held at home by Hamilton Academical. The point did, however, move Steve Clarke's side into second in the Premiership, one point above champions Celtic and five adrift of Hearts. Dougie Imrie got a slight touch to James Keating's free-kick to give Hamilton a shock lead. Rory McKenzie drew Kilmarnock level, with Accies finishing with 10 men after Steven Boyd was sent off. But it was Hamilton who had the better chances to win it, with Keatings passing up a glorious opportunity. 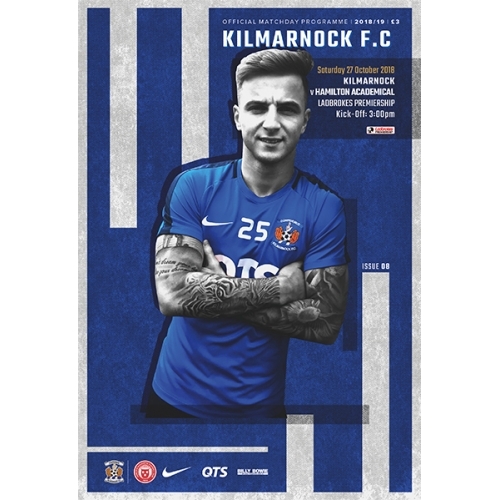 The point moves Killie up to second place, Kilmarnock started with a spring in their step as they looked to move to within three points of leaders Hearts. But their ambitions were hindered by Eamonn Brophy having an off day in front of goal. The Scotland Under-21 international put a free header well over then made a hash of an attempted volley. 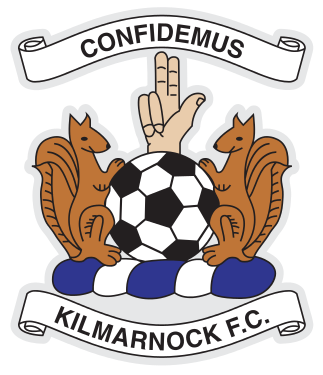 For five games in a row, Kilmarnock had conceded first. And once again on Saturday they were left chasing a deficit when Keatings floated in a free-kick, and Imrie appeared to get a slightest nick on it at the front post with a diving header. In their more recent four games, though, Clarke's side had fought back to win and it was to prove so again. Just before the break, Greg Stewart played in Rory McKenzie, (right) who guided the ball low into the far corner. The goal was probably more than Kilmarnock deserved, and their underwhelming display continued into the second half as Accies threatened again. First Fredrik Brustad was played through and forced a save from Jamie MacDonald, then a minute later Keatings passed up a golden opportunity; somehow steering wide at the back post. 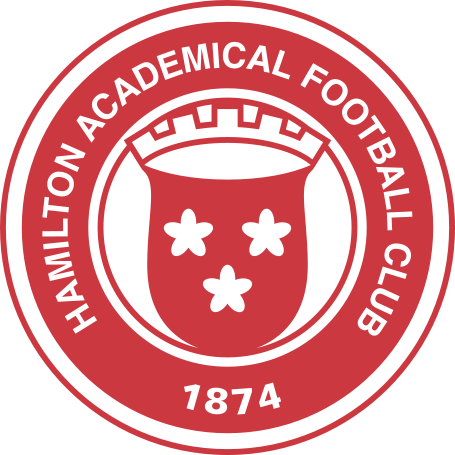 Hamilton had lost just one of their past six Premiership trips to Rugby Park - their most recent visit in March - but they were looking comfortable until the hosts frantically searched for a late winner. Even then, Stuart Findlay's shot over from the edge of the box was as close as Killie would come, and Accies could have nicked the game themselves had Rakish Bingham not shot straight at MacDonald. Accies sub Boyd was sent off in the last moments of the game after collecting a second yellow card for a foul on Scott Boyd. Steve Clarke: "It was a good performance from Hamilton, I thought they made it really difficult for us. We couldn't find any fluency or rhythm in the game. "There will be a lot of people going away today disappointed that we didn't get the win, but for me it's a decent point. It's a point we got when we didn't play at our best." "Our position in the league table at this stage of the season is not important to us. It's consistency of performance. It's 13 points out of 15, that's good for us."